These club activities can not be purchased without signing up for this activity. 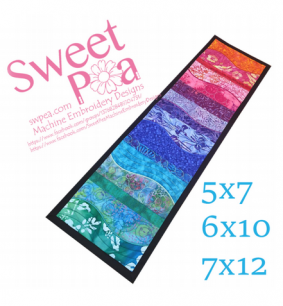 Make a large table runner with 5 embroidered panels. Learn technique of completing the back and border without quilt binding. This class is 2 sessions. This is an intermediate level class and requires 360x 200 hoop for the large table runner. Medium (260 x 200 hoop) and Small (150 x 240 hoop) table runner designs are available. This is a good way to use up your fabric scraps. Files & instructions will be provided at first class. 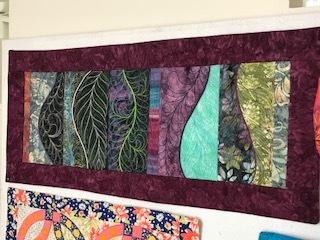 In the first class, we will stitch out 1-2 blocks to learn the technique. Stitch out the rest of the blocks on your own, then we will learn how to assemble the table runner borders and back in the second class.